Spring is in the air and Bingo Fest is celebrating the changing of the seasons with $5,000 of guaranteed prizes to be won throughout March in their exciting Celebrate Spring Bingo Tourneys. Put a spring in your step and enjoy one of the most magical seasons of the year every weekend in the Spring Bingo room. The Celebrate Spring Bingo Tourneys will play each week from Friday until Sunday and guarantee $1,000 of prizes for the top 20 players every week. With five incredible tourneys to play, there’s an incredible $5,000 of prizes to be won. The Celebrate Spring Bingo Tourneys will play each weekend between 12:01AM EDT on Friday and 11:59PM EDT on Sunday in the Spring Bingo room. 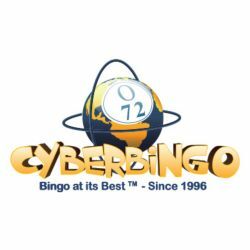 Each hour Bingo Fest will play one of our special tourney bingo games for only $0.50 a card. The more of these special tourney bingo games that you win, the bigger the weekly prize of up to $300 in cash when you play USA Bingo. Get more chances to be a winner with a special Buy 6 Get 3 Free offer on all Celebrate Spring Bingo Tourney bingo cards. Simply select 9 cards and you’ll only be charged for 6!